Below you fill find all funeral homes and cemeteries in or near Thousand Oaks. Suburbs of Thousand Oaks: Westlake Vlg, Dos Vientos Ranch, Hidden Valley, Lake Sherwood, Westlake Village. 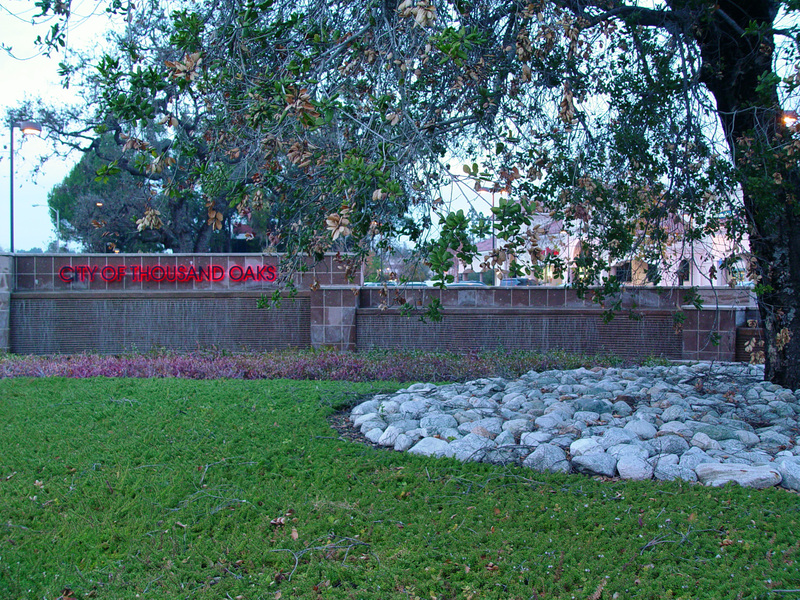 Thousand Oaks is also known as: Ventura County / Thousand Oaks city. Their current mayor is Mayor Mayor Al Adam. Zip codes in the city: 91319, 91320, 91358, 91359, 91360, 91361, 91362. Some of the notable people born here have been: Amanda Bynes (singer and actor), Jimmy Clausen (american football player), Rick Clausen (american football player), , Gavin Kaysen (chef and tv chef), Steve Connell (actor and playwright), Chloe Hunter (model and actor), and Taylor Knox (surfer). Thousand Oaks is a city in southeastern Ventura County, California, United States. It is in the northwestern part of the Greater Los Angeles Area, approximately 35 miles (56 km) from Downtown Los Angeles and is also less than 15 mi (24 km) from the Los Angeles city neighborhood of Woodland Hills. 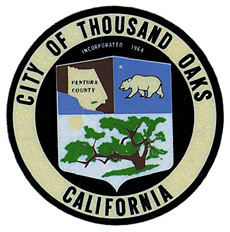 It was named after the many oak trees that grow in the area, and the city seal is adorned with an oak.The city forms the populated core of the Conejo Valley, which includes Thousand Oaks proper, Newbury Park, Westlake Village, Agoura Hills, and Oak Park. The Los Angeles County/Ventura County line crosses at the city's eastern border with Westlake Village. The population was estimated to be 128,731 in 2013, up from 126,683 at the 2010 census.Thousand Oaks and Newbury Park were part of a master planned city, created by the Janss Investment Company in the mid-1950s. It included about 1,000 custom home lots, 2,000 single-family residences, a regional shopping center, 200-acre (0.81 km2) industrial park and several neighborhood shopping centers. The median home price is around $560,000 Thousand Oaks was ranked the 4th safest among cities with a population greater than 100,000 in the United States by the FBI's 2013 Uniform Crime Reports. It was written by Napa Valley Register on November 17th, 2018 that Alaina Maria miss Housley perished in Thousand Oaks, California. Housley was 18 years old. Send flowers to share your condolences and honor Alaina Maria miss's life. It was disclosed by The Desert Sun on November 26th, 2017 that Virginia May Geissler (Gilbert) passed away in Thousand Oaks, California. Ms. Geissler was 89 years old. Send flowers to express your sympathy and honor Virginia May's life. It was disclosed by San Diego Union-Tribune on September 30th, 2017 that Laurie Berg (McCutcheon) perished in Thousand Oaks, California. Ms. Berg was 71 years old. Send flowers to express your sympathy and honor Laurie's life. It was revealed on July 21st, 2017 that Stanley Michael "Mike" Boyle perished in Thousand Oaks, California. Boyle was 69 years old and was born in Lakeland, FL. Send flowers to express your sympathy and honor Stanley Michael "Mike"'s life. It was revealed on July 14th, 2017 that Betty Louella Barker perished in Thousand Oaks, California. Barker was 87 years old and was born in Winslow, AR. Send flowers to share your condolences and honor Betty Louella's life. It was reported by San Diego Union-Tribune on March 19th, 2017 that Frances Kay Prince (Roush) passed on in Thousand Oaks, California. Ms. Prince was 79 years old. Send flowers to share your condolences and honor Frances Kay's life. It was noted on January 18th, 2017 that Juliette Bickler (Brosius) died in Thousand Oaks, California. Send flowers to express your sympathy and honor Juliette's life. It was disclosed by San Diego Union-Tribune on December 25th, 2016 that Sally Floyd (Packard) passed on in Thousand Oaks, California. Ms. Floyd was 68 years old and was born in Portsmouth, OH. Send flowers to express your sympathy and honor Sally's life. It was noted by Monterey Herald on November 23rd, 2016 that Patrick Michael Riordan died in Thousand Oaks, California. Riordan was 67 years old. Send flowers to express your sorrow and honor Patrick Michael's life. It was reported on September 3rd, 2016 that Jerry Heller passed away in Thousand Oaks, California. Heller was 75 years old. Send flowers to express your sorrow and honor Jerry's life. Funeral Planning can be a stressful. iMortuary's goal is to provide you with comprehensive listings of the funeral providers in Thousand Oaks to make this process easier. Browse below to locate funeral services such as funeral homes, cemeteries, cremation providers and funeral flowers. Before the area of Thousand Oaks was claimed in 1542 by the Spanish explorer Juan Rodriquez Cabrillo, and later founded in 1875, it had long been settled by the Chumash people. The Chumash people had a village in this area named Sap'wi, which translates to "House of the Deer." Today the Chumash Indian Museum showcases 2000 year old cave paintings from the area. The official website for the city of Thousand Oaks is http://www.toaks.org. George " Sparky" Anderson , a born storyteller who became the first manager to lead teams from both the American and National Leagues to World Series titles, died Thursday at his home in Thousand Oaks ... of 1979 at home in California, playing golf. Find a Funeral Home inThousand Oaks, California CA to provide the caring burial and ceremonial services your family deserves. Griffin Family Funeral Chapels, Thousand Oaks, CA : Reviews and maps - Yahoo! Local, 805.230.2800. Get Ratings, Reviews, Photos and more on Yahoo! Local. Kusnierek, Greg - Griffin Family Funeral Chapels, Thousand Oaks, CA : Reviews and maps - Yahoo! Local, 805.230.2800. Get Ratings, Reviews, Photos and more on Yahoo! Local. We work with local florists and flower shops to offer same day delivery. You will find budget sympathy flowers in Thousand Oaks here. Our funeral flowers are cheap in price but not in value.